A Trader undergoes a lot of emotions and mental turmoil while trading. All these emotions and mental state that help a trader to dictate his or her success or failure in trading securities are broadly known as Trading Psychology. Like any other attributes, trading psychology is an important aspect of a trader. A trader may be very sound and well equipped in terms of knowledge, indicators, investment, experience, skill etc, but the lack of a proper and maintained trade psychology can ruin his rate of success in the trading world. Trading comes with a lot of ups and downs. One often needs to dart in and out of stocks on short notice. This requires quick decision making skill and presence of min along with good understanding of the market. A trader’s implementation of these aspects is critical to the success of his or her trading plan. If one can conquer their inner fear and keep calm even in the most troublesome and uncertain moments, he or she will surely come out with profits, at least if not immediately, but definitively. Think long term- This is an extremely important aspect of the trading psychology. The trading world is not a day’s story. It is not always about a day’s trading. Long-term trades can eventually bring you a lot of profit which is practically impossible in short terms. It can often happen that a particular stock of yours is not showing much movement. You have to decide now whether to hold it or to sell it for a minimum profit. Here is where your psychological practices come to work. It is advisable to hold the stock if the future is fruitful, if not it is best to recover with low risks. But again many might not have the patience to hold the stock for long, even if that is more profitable. Proper discipline and risk-taking practices help the trader in such cases. Accept the Market’s Randomness- nothing is fixed in the trading market. All your predictions and calculations can take a U-turn in moments. It takes only one trader, somewhere in the world with enough capital to completely invalidate your analysis. The sooner you accept this fact the lesser are your chances of getting falsified. Fear and greed are the two most common emotions that hinder one’s growth and safety in the trade markets. It is extremely important to develop a psychology where one can balance both of these emotions well. It is good to be fearless and take up risks, but it is equally important to understand the difference between greed and profitability. Win your fear by low risks investments – Put up your margins such that a slight movement of the market can help you come out with profits. These profits might be high end, but will at least better than no trade at all. Talking of the fearless section of investors, one can gamble with some of his stocks, but it is utter foolishness to gamble all his stocks all the time. Develop the practice of partial profits- Partial profit is a safe yet lucrative way to trade, especially when your capital is not huge. with this pattern of trading, one can gain profit as well as make new investments with the gain and attain a steady position in the market. Slow but steady profits overpower the greed and yet help them in the flow of money. 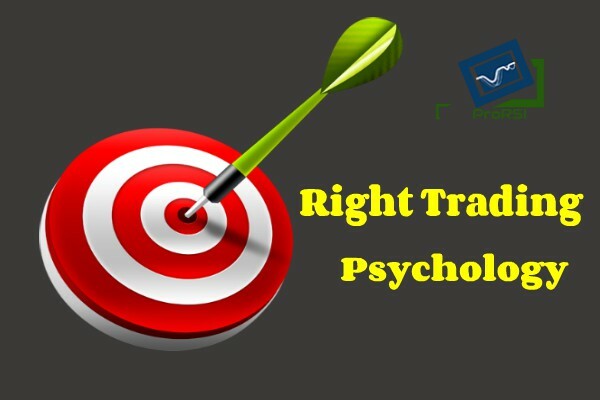 Trading psychology plays a big role in the trading statistics. One can make a million out of the small capital with the right attitude and discipline while it can be a complete opposite with a wrong trading psychology. At ProRSI we have several RSI training courses to help traders develop the right attitude and psychology for their trading gains. Give us a call right away to speak to our experts or to get enrolled in our specially designed courses.